A new medical history museum in Fukuoka, Japan, has opened an exhibition which includes items related to the infamous live dissections of US prisoners of war which were conducted 70 years ago in Kyushu University’s medical school. A section of a new museum exhibition on the campus of Kyushu University broke its 70-year university’s silence on a shocking footnote on World War II: the dissection of US prisoners of war by medical personnel, Kyodo News reported. The school has avoided mentioning the atrocity in public over the years. The Allied war crimes tribunal denied the university had been involved in the cruel experiments, despite the fact that 14 of its staff were convicted of war crimes. A group of professors at the university decided in March that this once tabooed part of Japanese history should be made public for the museum’s opening. After a US B-29 bomber was brought down near Fukuoka on May 5, 1945, nine survivors of the 12-man crew were taken into custody. 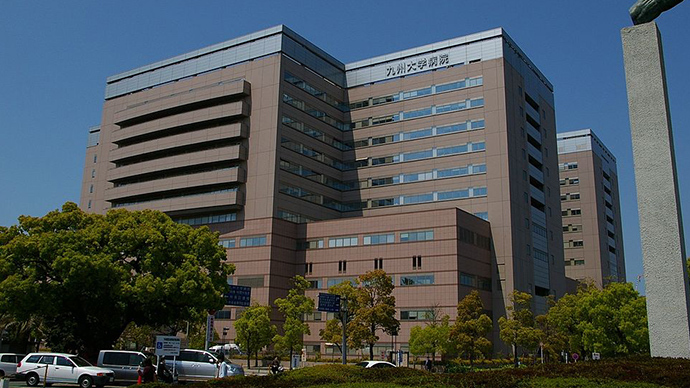 Captain Marvin Watkins was sent separately to Tokyo for interrogation while the remainder of the American crew was transferred to Kyoto Imperial University's College of Medicine, the previous name of the facility. During a hearing of the Allied War Crimes tribunal in 1948, gruesome details emerged regarding live experiments conducted on the POWs at the hands of medical staff. In one of the so-called experiments, the prisoners had parts of their livers dissected to determine if they could survive. Another sought to understand whether epilepsy could be brought under control surgically removing part of the brain. Seawater was intravenously delivered into their bloodstreams, while their lungs were removed. The remains of the men were preserved in formaldehyde. When the war came to an end, the doctors attempted to destroy the evidence. The court found 23 individuals guilty of performing vivisection on the unfortunate crewmen. A doctor who performed the operations committed suicide after the war. Fourteen university members were found guilty of war crimes, with sentences ranging from capital punishment to life in prison. However, thanks to the intervention of General Douglas MacArthur, the military governor of Japan at the time, by 1958 every person convicted in the case had been freed. The newly-opened medical history museum displays 63 items, including patients’ records and medical equipment. Kyushu University’s medical school was established in 1903 as Kyoto Imperial University’s Fukuoka College of Medicine.